When should I plan my vacation? Typically, cruise pricing is available 12-18 months prior to departure and land based vacation package pricing is available about 9 months prior to departure. It is always best to plan your vacation as far out as possible to ensure the best availability particularly if you are traveling during holiday periods. With some cruise and vacation packages, IF a lower rate becomes available after you have booked AND you are eligible for the promotional rate, My Vacation Lady will check to see if the lower rates can be applied to your reservation. How can I pay for my vacation? It is always safest to pay for your vacation with a credit card. With most cruise and vacation packages, a deposit will be due to lock in your reservation and your final payment will be due between 60-90 days prior to departure. What ID do I need to travel? All US citizens flying anywhere outside of the 50 US states and her territories, will need a valid passport. In some cases, the passport must be valid for 6 months after your return date. Even if you are cruising from a US cruise port, we still recommend having a valid passport. If you have an emergency and must be flown home from your cruise, without your passport, you may have problems returning to the United States. Don’t bother with traveler’s checks. They create a problem when trying to cash them. Most shopkeepers will not cash them so you will need to find a bank. Call your bank (ATM card holder) to see what type of fees they might charge for you to use your ATM abroad. These fees might be called “cashpoints” in other parts of the world. Using an ATM machine has recently been considered to have the best rates and lowest fees but that might be changing soon, so even if you have used your ATM to convert money previously, please recheck with your bank for the most current rates. Some banks have started charging fees (up to $10 per ATM transaction or 2-3% for withdrawing cash overseas). It is best to check with the bank first so you are not surprised later. ATM machines are pretty readily available in most cities in Europe and may be the most convenient way to access money without having to purchase huge amounts at one time. This was the conversion method of choice for most of my clients. Call your credit card companies to find out if they charge just the conversion rate (ie: Capital One credit card) or the conversion rate plus a 1-3% fee. Each credit card companies have different rules so please check ahead. When my group called 8 different credit card companies, the only one that did not charge a fee on top of the conversion rate was Capital One. I am not pushing this credit card- I do not own or carry one. This was information from 3 clients who called 8 different credit card companies between them. Do not use your credit card for cash withdrawals. Most credit card companies charge very high fees plus immediate finance charges. Advise your bank (ATM card holder) and any credit card companies that you will be using the cards overseas. They will need to note this in your record so that they do not shut down your account due to potential fraud. Please do this approximately 2 weeks prior to departure. Check the exchange rates before you leave on your trip to see what the most current rates are. You won’t get the same rate (bank to bank rate is always lower) but you have a point of reference. Converting money in advance can be handled in a number of ways. One client who was taking all private tours off a Mediterranean cruise needed to pay each driver in cash (Euros) upon being picked up for the tour. They felt that they needed to have the Euros readily available and ordered the Euros at their local bank. They were mailed the money within a couple of days. 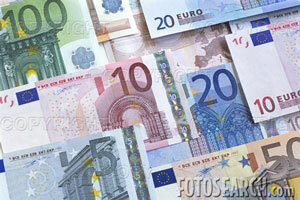 There are a number of currency exchange services that are reliable. Convert a small amount of money in the airport before you leave. The exchange rate may not be the best, but this will give you some local currency for tipping cab drivers, bell hops, etc. If you are not great at math, bring a small calculator with you to figure out the conversion rate. It may save you some time and frustration. Travel insurance is a way of protecting your vacation investment. In 2010 alone, we had blizzards, volcanic ash, earthquakes, floods, airline strikes and so many other events that disrupted vacations and air travel. That doesn’t include potential cancellations due to personal illness, accidents, loss of a job, lost luggage, documents and so much more that is covered by travel insurance. A dozen or more years ago, we had to personally use travel insurance when my husband got sick during a cruise. When you book your vacation with My Vacation Lady, we will strongly recommend travel insurance and give you options that will give you the best coverage. We hope you never need it, but you’ll thank us if you do. What should I pack for my vacation? Travel agents and tour operators nationwide were asked to make suggestions on what clients should bring for their vacations to various parts of the world and the answers were pretty interesting. Africa (East African Safari): Safaris require comfortable, casual clothing in light and breathable fabrics. Styles should be versatile and colors should be neutral. Bright colors and whites can startle animals in hiding. Black, navy and dark colors tend to attract insects. Camouflage attire is illegal in game parks and reserves so avoid any camouflage clothing. Bring comfortable walking shoes with low heals and, preferably textured soles for traction. Alaska: Dress like an onion- with plenty of layers to peel off. While temperatures can range from the 40’s to the 80’s, from sunny to rainy, always bring a waterproof jacket and pants, sturdy shoes, a fleece or sweater to layer under the jacket, sunglasses, camera, and a hat and gloves. Caribbean Islands: While usually warm and humid, cool and comfortable clothing is usually your best bet. Bathing suits and cover-ups are great for during the day at the pool and the beach but not to wear into town. Bring along some dressier clothes for evenings out at nicer restaurants. If you are at an all-inclusive resort, most will require men to wear long pants and closed shoes to dinner. Please note: camouflage attire is not allowed in Barbados and St Lucia. Caribbean cruise: The word for daytime attire is comfortable and casual- shorts and tee shirts, bathing suits and cover ups, sneakers or flip flops. Please be aware that there will be other cruisers around you who may not appreciate your thong bikini in the dining room so please plan on wearing a cover up if you are anywhere other than on the pool deck. Dinner and evening attire is a bit dressier depending on the cruise line. Check with your travel professional for the expected attire for dinner. Do bring looser clothing for the end of the cruise as many of us tend to put on a few extra pounds. Bring a sweater or light wrap for evenings since it does tend to be cooler in the night clubs and dining rooms. City Stays (Paris): With distinct weather seasons, it’s suggested to check for typical weather and an extended weather forecast before packing, to tailor what you bring to the expected forecast. Summer essentials include comfortable lightweight clothing, sun glasses, sunscreen and a hat. In winter, bring a warm, windproof coat, gloves, hat and scarf and extra socks. Comfortable walking shoes are a must in any season. For evenings, dresses for men and a jacket and tie may be good choices for some of the nicer restaurants in town. Disney World or amusement park vacations- While hot and humid in the summer, Orlando can be downright chilly in winter months, so the time of year should be the deciding factor in what to pack. First and foremost, bring comfortable walking shoes and sunscreen. Lightweight clothing is the best for the summer months while jeans and a light jacket work well for the cooler months. Rather than getting soaked for $10+ for a souvenir rain poncho, consider buying one in advance at the dollar store back home. A tote bag for jackets, change of clothes, towels, extra sunscreen is always a good idea and can be put into a locker at the park. Great Britain and Ireland: Comfortable clothing that can be layered to match the weather. Include comfortable shoes and a rain coat or poncho. Some of the more deluxe properties and restaurants will require men to wear a jacket and tie for dinner, so if that type of property is on your itinerary, come prepared. European Cruise: First and foremost, bring comfortable shoes. You will be doing quite a bit of walking on uneven pavement in Europe so you need to be prepared. Comfortable clothing that can be layered is ideal for touring in Europe. If you are going to be touring any churches, conservative clothing is required. For women, a blouse or top with sleeves or a shawl to cover your shoulders and a skirt or capris or slacks that cover your knees is appropriate. Dinner will be a bit dressier with business casual or country club casual appropriate for most evenings. There may be a formal night or two on your cruise so check with your travel professional before leaving. Hawaii: With so much to see and do in each island, comfortable clothes and sunscreen is a must. Shoes can vary from flip flops to hiking boots depending on your activities. Evening attire in 90% of the restaurants consists of nicer shorts and a Hawaiian shirt for men and skirt, capris or nicer shorts and nicer sandals for women. If you are planning to go to the summits of Haleakala in Maui or Mauna Kea on the Big Island, be prepared with a heavy jacket, gloves and long pants. It is 30-40 degrees colder there than by the beach. Europe: Getting through a 10-15 night escorted trip means being able to mix and match, wear and re-wear and making the outfits look different by adding a different scarf or tie. Pack neutral, lightweight, soft cotton clothes that can be layered. A must for women would be a knee length neutral colored dress that can be dressed up or down as needed. (Rayon skirts are great and roll well). A pashmina or light wrap will take up less room than a sweater or jacket. Canvas wedges are great for comfort and will dress down the skirt or dress while one pair of dress shoes will dress it up. For men: khakis, polos, white shirts and one blazer and tie. In general, it’s worth investing in a few pieces of lightweight travel clothing from companies like Travel Smith. India: Sun protection is a must, especially between March and October. Don’t forget a hat and light comfortable clothing. Middle East (including Israel and Egypt): Plan to “layer and peel”. Temperatures can vary, even in the same country, so pack short sleeve shirts, long sleeve sweaters and light jackets to layer and peel as needed. Wear sneakers or other cushioned shoes for walking on cobblestones. Bring rubber shoes for wearing at the Red Sea and the beach. For women, a shawl is essential for covering shoulders at religious sites. Skip the baseball cap and logo clothing. You don’t want to stand out as a tourist. Bring purses or back packs with zippers that can be wrapped around your body to keep your valuable safe from pickpockets. Consider investing in a money belt to carry your money and passport safely under your clothing. Take the stress out of vacation planning. Let My Vacation Lady help plan a memorable vacation for you. Call now (732) 418-0819 or or send us an email.